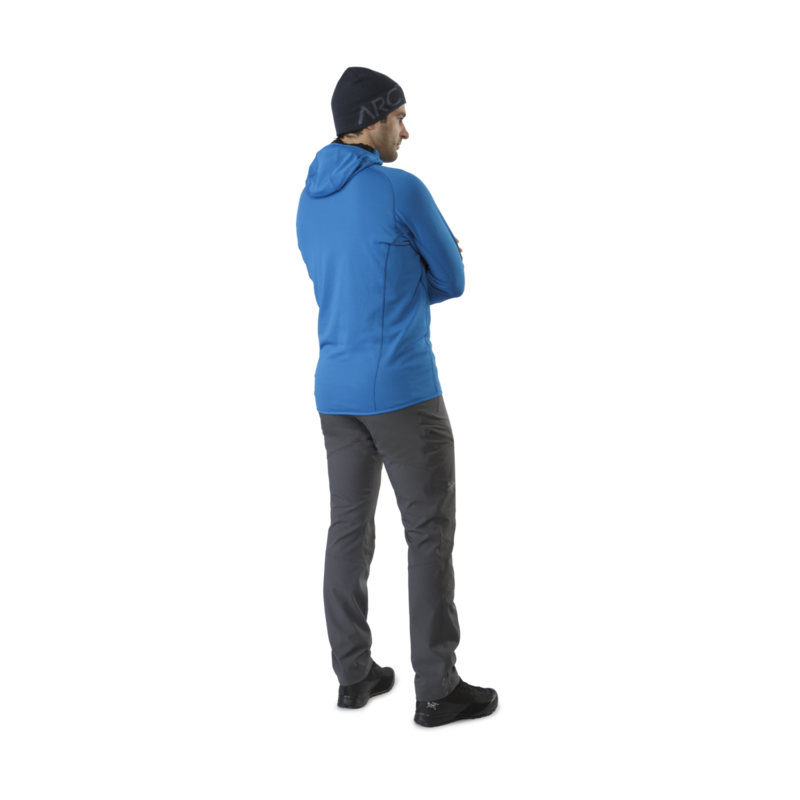 The Arc’teryx Sigma FL Pants are the men’s softshell pant for rock, alpine and mixed climbing. 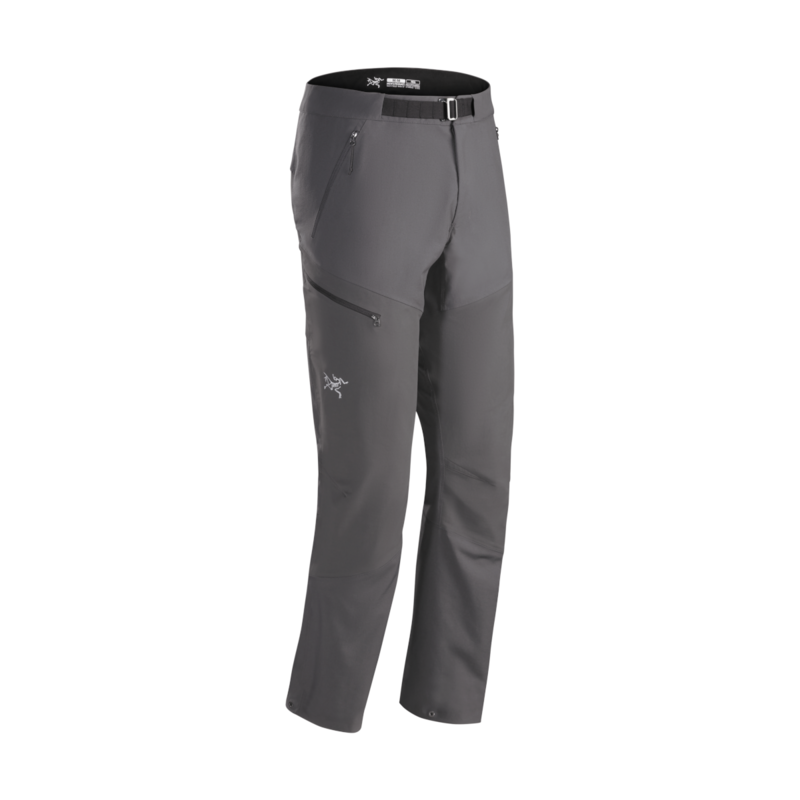 The pant has been designed to be an ideal balance between weight and durability. 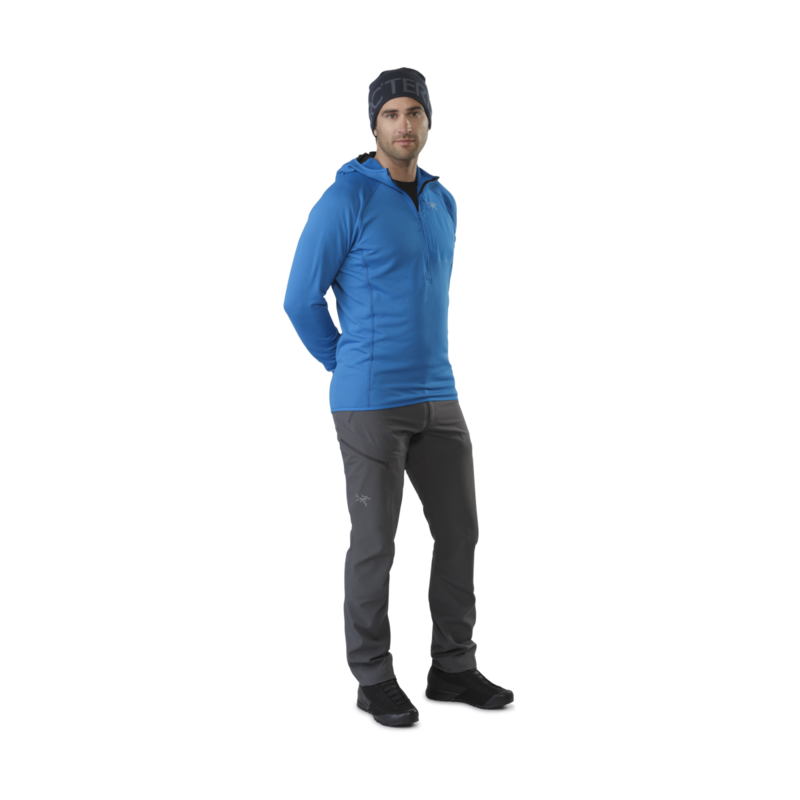 Four-way stretch Fortius™ softshell fabric and articulated patterning give full mobility to this trim fit, crampon-friendly tapered pant. Knees and seat are reinforced with Wee Burly™ double weave. 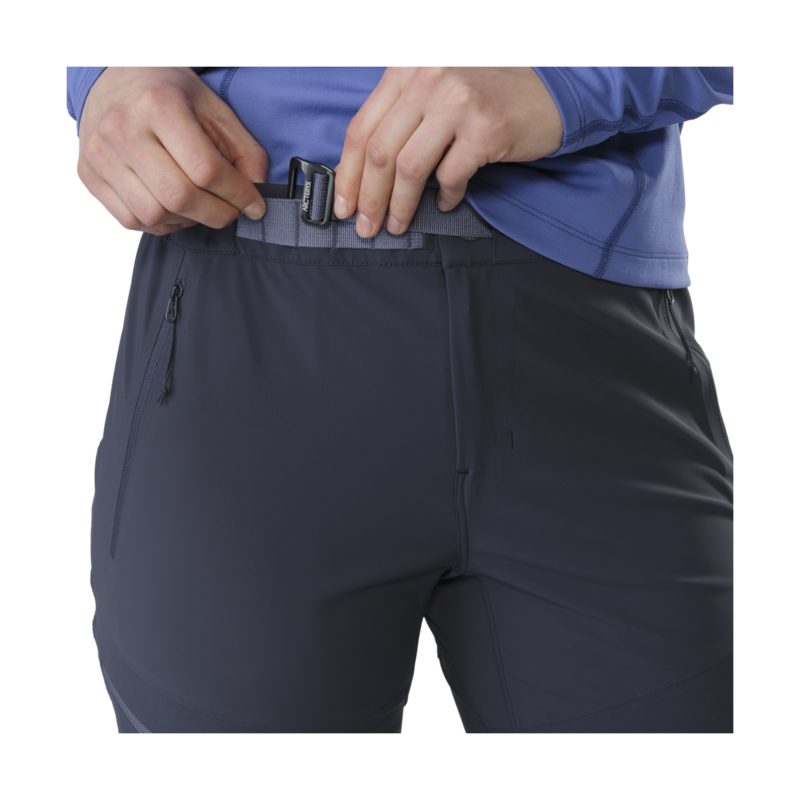 The low profile adjustable waist belt is harness-friendly and comfortable under backpacks. 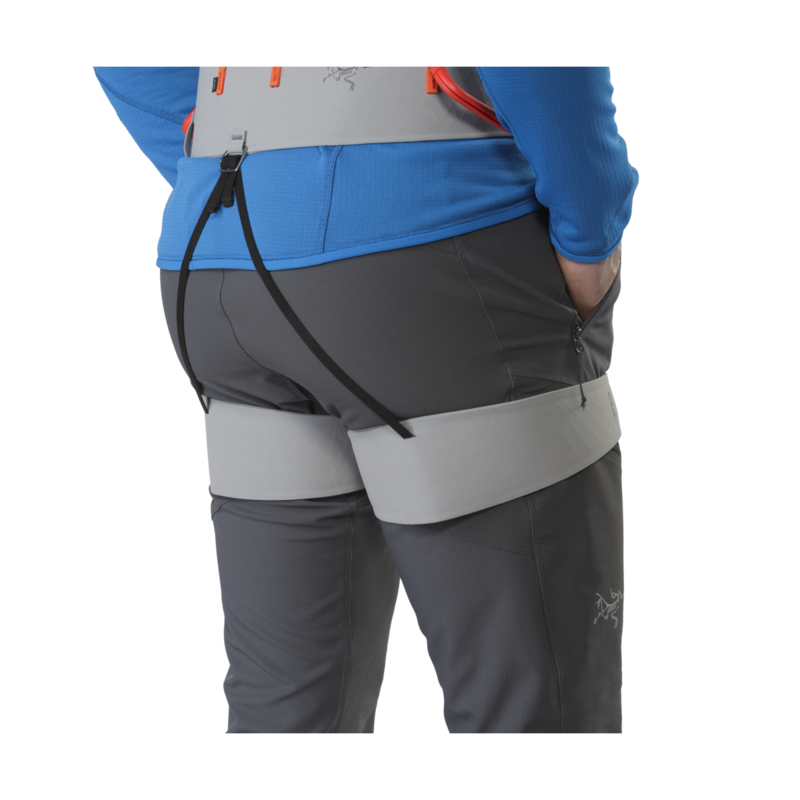 The hand pockets and large right thigh pocket have easy accessibility when you have your harness on. 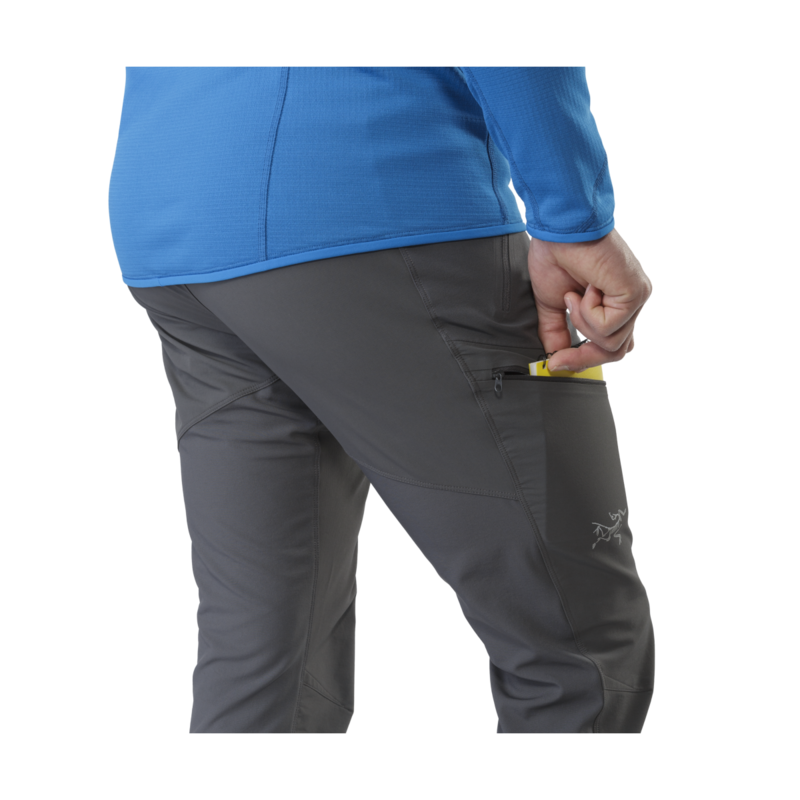 The ankle cuff feature draw cords to seal out drafts and grommets for gaiter cord to prevent snow going up the pants.